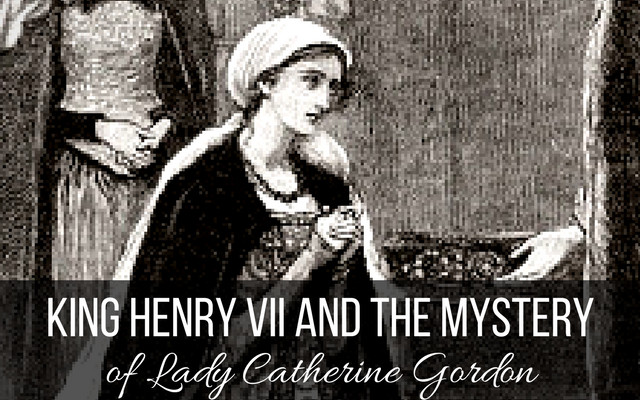 While researching about Henry Tudor becoming King Henry VII, I came across an account by the blind chronicler Bernard Andre, a French Augustinian Friar who describes the first meeting between Henry and Lady Catherine Gordon. Henry is cast in the role of hero, rescuing poor Catherine from a scheming pretender to the throne of England. The problem is that Bernard Andre was commissioned by Henry to write an account of his time as king. So who was Lady Catherine? 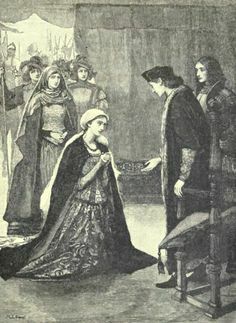 Born in Scotland in 1474, Catherine’s father was George Gordon, Earl of Huntly, and her mother Princess Annabella, daughter of King James I of Scotland. 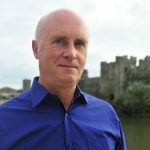 In July 1495, a man arrived in Scotland from Ireland, claiming to be the Richard, Duke of York, the second son of King Edward IV of England (who was thought to have been murdered in the Tower of London.) King James might not have believed him but saw an opportunity to undermine the English King Henry—and married the pretender to his cousin, Lady Catherine. After several poorly planned attempts to ‘claim his rightful kingdom’ the pretender, known as Perkin Warbeck, sought sanctuary in Beaulieu Abbey in Hampshire before surrendering to Henry’s men. Lady Catherine ended up stranded on St Michael’s Mount in Cornwall and Henry sent for her when he arrived in Taunton to hear the pretender’s full confession. This is where the mystery begins. Any other king would have had had Warbeck executed for treason. Instead Henry kept him under house arrest – in his own lodgings and Lady Catherine was made a lady-in-waiting to the queen. It is recorded that Henry ‘treated Catherine like a sister’ and allowed Warbeck to see her – but banned them from sleeping together. In 1499, Warbeck was locked up in the Tower of London for attempting to escape from his house arrest – then hanged at Tyburn for conspiring to escape from the Tower. Catherine, a widow at twenty-five, might have been devastated at the death of her husband but became close to Queen Elizabeth. She even travelled with Henry as one of Elizabeth’s ladies to Guines Castle near Calais for a meeting with Archduke Philip of Castile. Henry kept detailed accounts which show he bought her horses and fine new gowns. For example, in November 1501 this included cloth-of-gold furred with ermine, a purple velvet gown and a black hood in the French style. In April 1502, Henry paid for black and crimson velvet for a gown and black kersey for Catherine’s stockings. In November 1502 he paid for black satin trimmed with mink for Lady Catherine. There are records of him losing money to her at cards, although oddly there don’t seem to be any suggestions she was his mistress. When Queen Elizabeth died in 1503, Catherine was a chief mourner at her funeral. She might have been expected to return to Scotland or remarry but surprisingly chose to stay with Henry for the rest of his life. After Henry’s death, Lady Catherine became one of Katherine of Aragon’s ladies-in-waiting and eventually married James Strangeways, a gentleman of the King’s Chamber. All look at your face so bright and serene that it gives splendour to the cloudy sky; all look at your eyes so brilliant as stars which make all pain to be forgotten, and turn despair into delight; all look at your neck which outshines pearls; all look at your fine forehead. Your purple light of youth, your fair hair; in one word at the splendid perfection of your person—and looking at they cannot choose but admire you; admiring they cannot choose love but you; loving they cannot choose but obey you. So did Henry fall for her? Or did he think of Catherine as the sister he never had? Catherine seems unimpressed by Perkin Warbeck (despite his compliments), so did she see her chance for an easy life at Henry’s court? Did Henry plan to use her in his negotiations with the Scots, then grew to like her? Did Catherine take advantage of the aging king, old enough to be her father? Did Elizabeth of York not think it odd that her husband spent so generously on one of her ladies? Did they discuss Perkin Warbeck, Catherine’s husband who claimed to be Elizabeth’s brother? 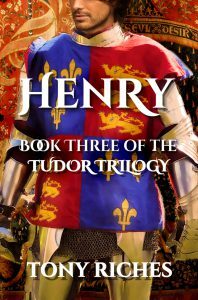 I believe all these are possibilities and decided to explored the complex relationship between Henry and Catherine in my book, HENRY – Book Three of the Tudor Trilogy. I absolutely guarantee that Queen Elizabeth had questions for her husband about his expenditures. 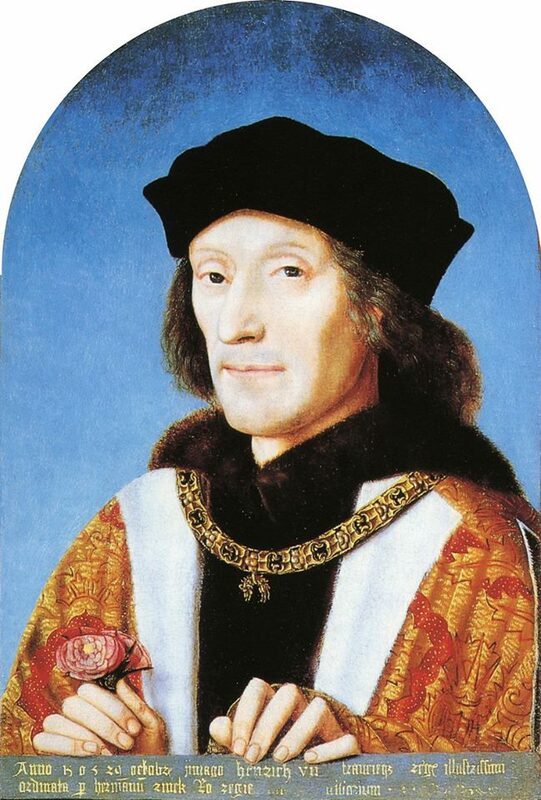 Henry VII was very close fisted with his money, even being miserly. That’s off recorded history, and he left far coffers to his sons. For him to be so extravagant, he most certainly was in love – not that it was consumated, or an affair. That would be an improper conjecture. He also suffered from leprosy in his later years, I believe and wore a veil in public – I think I have this right. She may have been able to aide and soothe him in this disease. That would make most sense to me. You have confused Henry VII with someone else . He did not suffer from leprosy, he had tuberculosis . He never wore a veil.